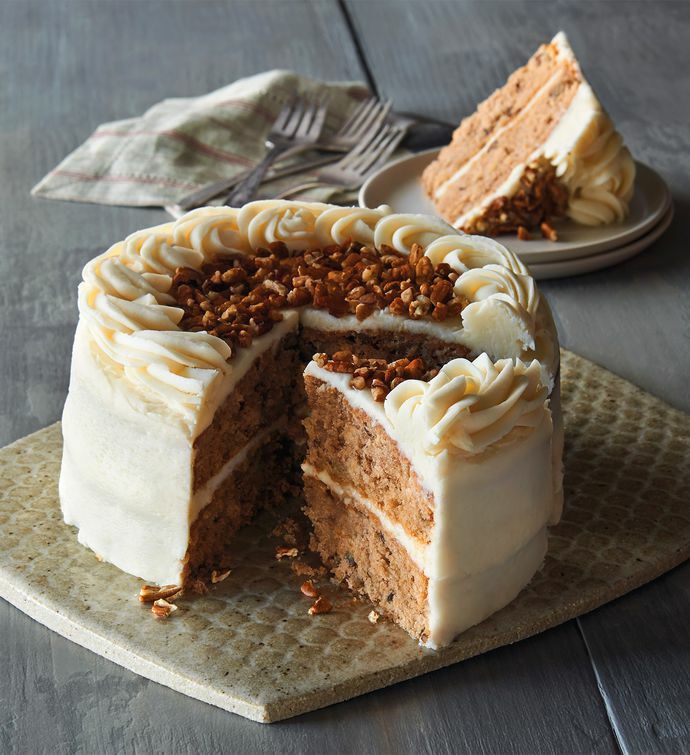 Fittingly named for its sweet-as-nectar flavor, our Hummingbird Cake is a specialty dessert that's quite popular in the Southern U.S., and handcrafted right here in our own Southern Oregon bakery. Two moist cake layers are made with banana, pineapple, pecans, and cinnamon, and then frosted by hand and decorated with decadent cream cheese frosting with chopped pecans garnishing the top. From presentation to flavor, this exquisite cake is the perfect sweet delight for any occasion.